Actress Jenna Fischer (“The Office”) hosted the 3rd Annual Fur Ball at the Skirball in Los Angeles this weekend, which raised funds for Kitten Rescue's programs and the Kitten Rescue Sanctuary, a Los Angeles-based non-profit organization dedicated to saving homeless and abandoned cats and kittens. 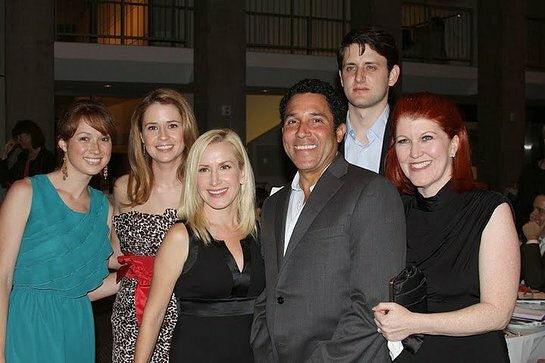 "The Office" cast members Ellie Kemper, Jenna Fischer, Angela Kinsey, Oscar Nunez, Zach Woods and Kate Flannery at Kitten Rescue's 3rd Annual Fur Ball at the Skirball, Saturday, September 11, 2010 in Los Angeles. 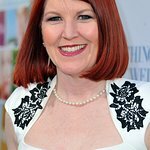 Attendees included “The Office” cast-mates Angela Kinsey, Ellie Kemper, Oscar Nunez, Kate Flannery and Zack Woods, as well as Tricia Helfer & Katee Sackhoff (“Battlestar Galactica”), Rich Sommer (“Mad Men”), Casey Wilson, Mark Derwin (“The Secret Life of an American Teenager”), and Romi Dame (“Hannah Montana”). The event featured live entertainment, a film presentation about Kitten Rescue, a silent auction, and awards for special members of the Kitten Rescue community. Guests enjoyed a vegetarian dinner. It was the second time Jenna has hosted the event. The organization rescues more than 1,000 cats and kittens a year, and makes sure its animals have a full slate of care, including spaying and neutering, vaccines and microchips.